Novanna cleaning services is a company that operates in NYC and offers a variety of professional cleaning services. Because of our continuous effort and dedication, we rise as your number one choice when it comes to picking a house cleaning company. Our goal is to provide a type of house cleaning service designed to satisfy even the most demanding of our customers. How is this possible? First off, we have made it our principle to listen to our customers closely. Only then, can we begin to really understand their needs which, in turn, become our priorities. Perhaps one of the greatest perks of living in a house is space availability; you no longer need to worry about finding a place when it comes to planning dinner parties or celebrating birthdays. The downside however, is that all that extra space means more housework and maintenance time. We all know just how exhausting and time consuming house chores can become. At first, cleaning your nice new home may seem like a fun project. With time however, it can become a burdensome and never-ending load. Novanna house cleaning services is all about combining the loftiest standards and the latest cleaning techniques with hard work. As a result, we get a dependable, top-quality service that is still affordable enough to allow for more and more potential customers to profit from our services. House cleaning is all about prioritizing and mastering the details. A recent study reveals some interesting information about the germiest places in a house. At Novanna we place those critical areas first: kitchen, bathroom, carpets and windows. This same study shows that whereas the kitchen sink houses 45% of nasty germs, the countertop is the breeding ground for another disturbing 32%. 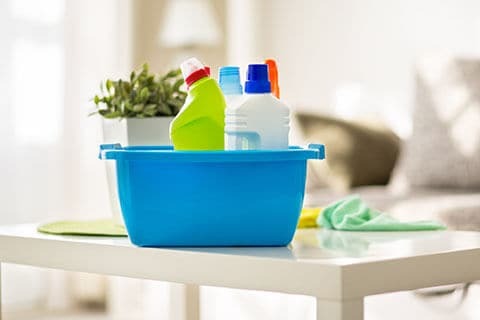 It is with this knowledge in mind, that we tackle house cleaning with a purpose and a goal: to leave your house as clean and as germ-free as possible. All of our customers get the same top-quality service, regarding the size of their home. However, because every house is unique, we offer customers the chance to customize our cleaning service so that it will meet all demands as closely as we can. By means of our service calculator, you can plan your cleaning experience beforehand. Better still, you can learn just how much the service will cost, thus avoiding unpleasant surprises. For more cleaning details and further services, please contact us and let us know exactly what you need. Because at Novanna we believe that you deserve a cleaner experience.